There is something very reassuring about placing your trust with a company that’s been around for over 50 years. H. Logue & Sons was established in 1962 and since its inception, has been offering support, advice and professional service to the families of Wellington, and its surrounding districts, in times of grief. Having to arrange a funeral and make decisions whilst grieving the loss of a loved-one can be complex, and we’re here to guide you through every step of the process. 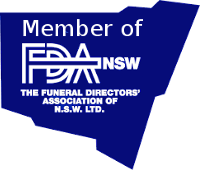 We understand the importance of care and compassion during this time of grief and will help you find solace and comfort in knowing that your loved-one’s funeral day will be treated with the utmost respect and dignity at all times.